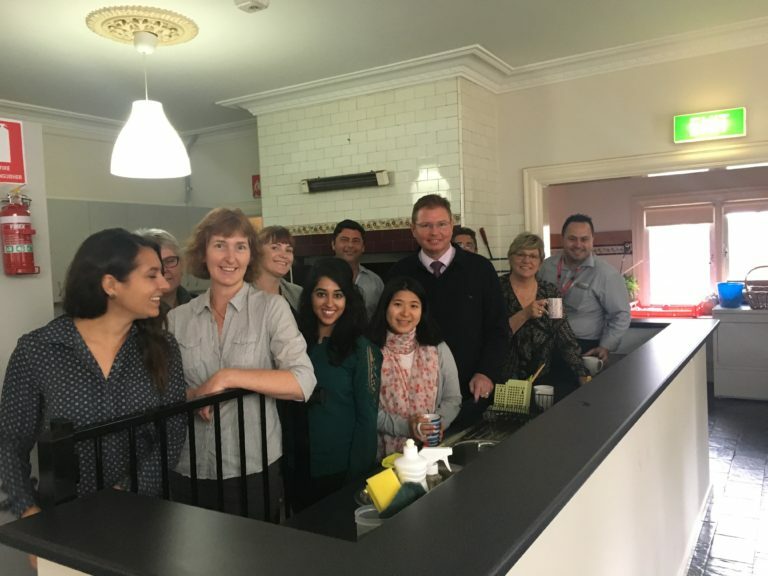 Evolve Housing was honoured to attend a morning tea with Craig Laundy MP yesterday to celebrate the refurbishment of an inner west Sydney women’s refuge. The refuge provides crisis accommodation to women and their children, and is operated by Women’s & Girls Emergency Centre (WAGEC). Evolve Housing manages routine maintenance at the property, and we also managed the refurbishment project using FACs funding. A new kitchen and butler’s kitchen were installed to provide women with more room to prepare meals during busy rush hours. The upgrade also included new flooring in bedrooms, stronger window and door screens, internal painting and general maintenance. Thanks to WAGEC, FACs and our contractors Willowdene Construction for collaborating with us on this worthwhile project. A special thanks also to Craig Laundy MP for attending the launch and supporting the community housing sector. Crisis accommodation plays a vital role in our community, especially for women escaping from domestic and family violence, and we are very proud to be involved with this project.